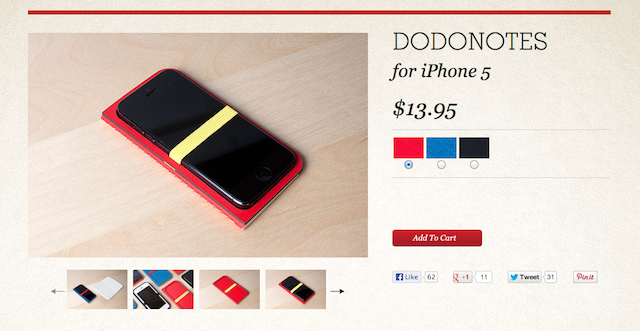 I really like this idea ... DODOnotes from DODOcase ... a notebook specifically designed for the iPhone. ...completely made in the USA using traditional craft techniques, the interior of DODOnotes features 30 tear-out pages of Mohawk's Superfine paper — known for its smooth texture, consistency and uniformity. 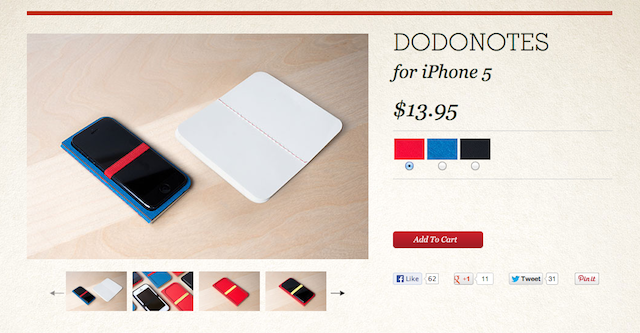 The classic book-like exterior features DODOcase's quality bookcloth with a unique die-cut tray to nest the iPhone. A colorful elastic strap holds the device in place and when the phone is out it can be used to store other loose items such as business cards, cash, and a pen or stylus. 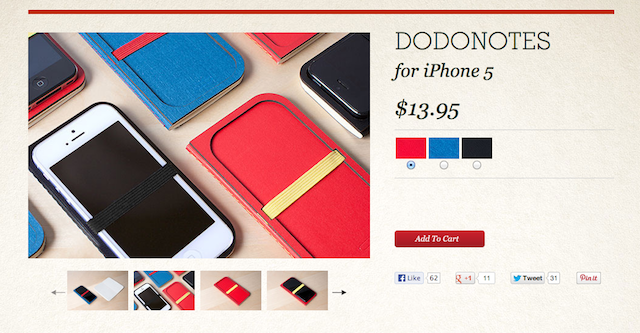 I really like the idea of carrying a notebook with your iPhone. 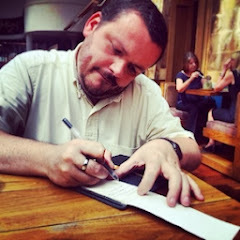 I know you can use the iPhone to take your notes ... but there is nothing as easy or satisfying as scribbling a quick note. As discussed before, I carry a Filofax Flex Slim with a Muji Passport notebook ... along with my iPhones. I use the notebook for collecting all my thoughts ... before processing them on my iPhone. The DODOnotes is a nice alternative to carrying this wallet.